UNIBET is now the official betting partner of the Astralis esports team. Announced late last week, the two-year agreement gives the Kindred Group bookmaker rights to images and other content for Astralis, Counter-Strike: Global Offensive and esports in general. Part of the deal will see Unibet work with Astralis to promote competitive gaming worldwide. “Esports has grown into a billion-dollar business with a fanbase across all corners of the world,” said Rhodri Darch, Kindred Group’s chief commercial officer. Astralis have won four titles in 2018 and sit clear atop the CS:GO world rankings. According to Darch, that puts the popular Danish outfit in an excellent position to spread the word about the ever-growing esports movement. “Astralis is the star of the CS:GO world,” Darch continued. “We are very excited to join forces with the world’s number one team. 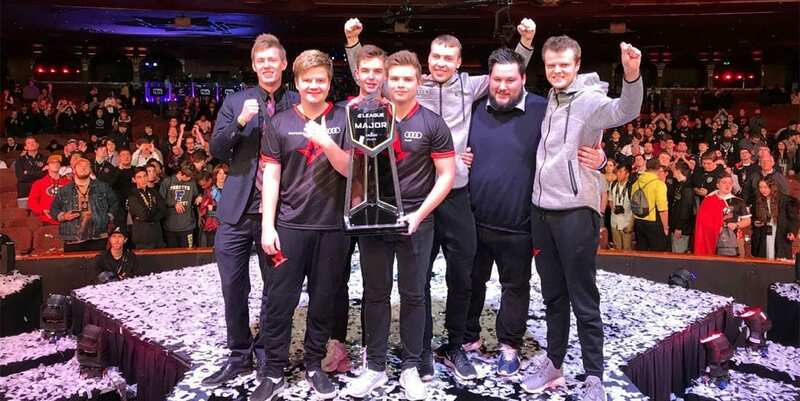 “Astralis is an esports powerhouse that has just been awarded ‘Esports Team of the Year’. Astralis are managed by RFRSH Entertainment, a Danish company that specialises in the day-to-day operations of pro gaming teams. The firm also operates the BLAST Pro Series esports tournaments. “We are extremely proud to welcome Unibet as the title sponsor of Astralis in a deal that will secure Astralis’ stability and growth for years,” said Jakob Lund Kristensen, co-founder of RFRSH. This is just the latest in a series of diverse commercial ventures for Astralis, who already have deals with Audi, Jack & Jones, Turtle Beach and several other companies.